San Diego Superior Court is the second largest court in California and one of the hardest hit in terms of budget cuts. 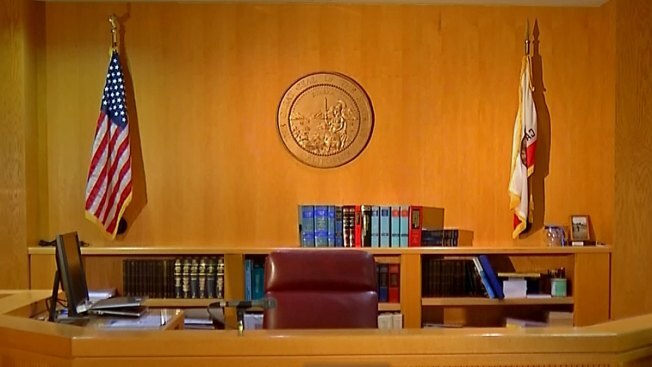 State court officials say civil caseloads for judges have doubled (even though filings are down), staff numbers have dropped 25 percent and ten judges are working without staff altogether. Someone who has filed at least five litigations (other than in a small claims court) during a seven-year period that (i) finally determined adversely to the person or (ii) unjustifiably permitted to remain pending at least two years without having been brought to trial or hearing. Someone who repeatedly re-litigates or attempt to harass someone. Someone who repeatedly files unmeritorious motions, pleadings or other papers that are frivolous or solely intended to cause unnecessary delay. Someone who has previously been declared to be a vexatious litigant by any state or federal court of record in any action or proceeding based on similar facts. San Diego resident Alfred Banks was designated a vexatious litigant in 1993. He’s remained on the list ever since and says he’s locked out of the U.S. judicial system. “There are so many people like [me] here who don’t have voice,” said Banks. Banks claims he was wrongly put on the vexatious litigant list. He’s been trying to remove himself from it but has been unsuccessful. He has filed 16 lawsuits and says they are all legitimate. “When they put you on that black list, you don’t have no justice in any duration of this country. You are not part of this society,” he said. Civil litigator Steve Arnold does not represent Banks. He believes the vexatious litigant system works the majority of the time. However, he is concerned about a few people, including Banks, who he says can be wrongly victimized by the stigma. “I would like to see…some independent judicial counsel group go over members on the vexatious list to re-determine, especially if it’s been ten or twenty years, if they should be on the list,” said Arnold. In regards to Banks' case, the Judicial Council of California says it cannot comment on specific cases. For California’s full list of vexatious litigants, click here.